Ozzy Osbourne is suing guitarist Tony Iommi, accusing him of falsely assuming ownership of the Black Sabbath name in a filing with the US Patent and Trademark Office. The suit contends that Osbourne's "signature vocals" were responsible for the band's "extraordinary success." Osbourne is demanding a 50 percent share of the name for himself as well as a split of monies earned while he was not in the band. Osbourne was fired from Black Sabbath in 1979 because of alcohol abuse but returned in 1997 for periodic touring and a live album. 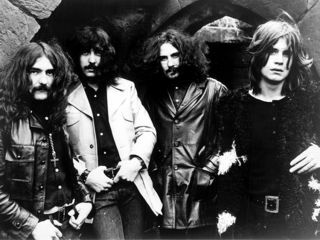 Osbourne's lawsuit may stem from Iommi's own filing against Live Nation in December 2008, in which the guitarist alleged that the concert promotion company continued to sell merchandise bearing the Black Sabbath name and logo despite the expiration in 2006 of a merchandising agreement between the two parties. Iommi apparently reclaimed the band's trademark following the termination of that agreement. In stating his case, Osbourne specifically claims that the band's popularity nose-dived during his absence from 1980 to 1996. During that period, singer Ronnie James Dio assumed the majority of lead vocalist duties for the group. Iommi is currently involved with several Black Sabbath alumni under the name Heaven And Hell, a lineup that currently features Dio on vocals, longtime Sabbath bassist Geezer Butler and on-again, off-again Sabbath drummer Vinny Appice. "Since 1997 when Geezer, Bill (Ward, the group's original drummer) and myself rejoined the band, Black Sabbath has returned to its former glory as we headlined sold-out arenas and amphitheatres playing to upwards of 50,000 people at each show around the world. "Tony, I am so sorry it's had to get to this point by me having to take this action against you. I don't have the right to speak for Geezer and Bill, but I feel that morally and ethically the trademark should be owned by the four of us equally. I hope that by me taking this first step that it will ultimately end up that way. "We've all worked too hard and long in our careers to allow you to sell merchandise that features all our faces, old Black Sabbath album covers and band logos, and then you tell us that you own the copyright. We're all in our 60s now. The Black Sabbath legacy should live on long after we have all gone. Please do the right thing."